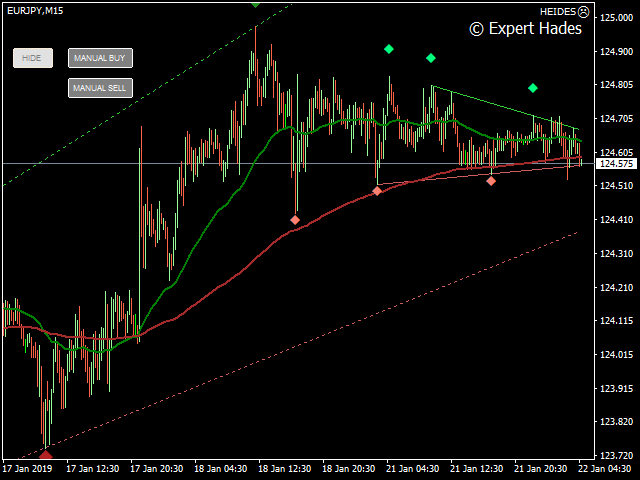 This EA loads Support & Resistance Trend Lines and trade purely based on price action of Trend Reversal strategies. No effect with manual entry. It is possible to use this Expert Advisor as indicator. 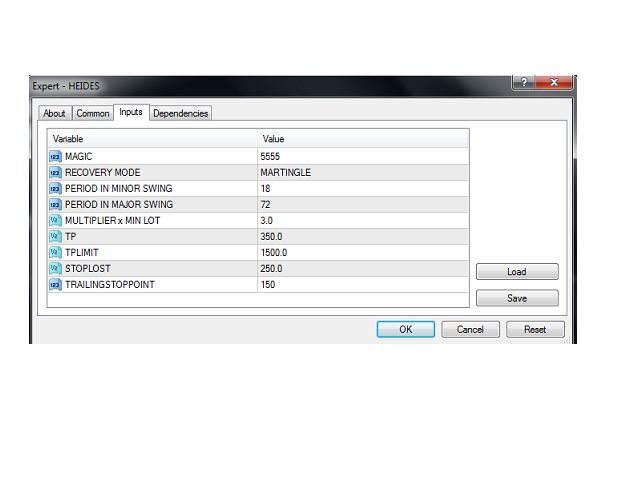 It also featuring both safe Hedging and Multingle methods as well MANUAL entry by using control panel. Auto Strategy: Swing Reversal Patterns with trailing TP & Stop. Manual Strategy: BUY/SELL using Control Panel on chart with trailing TP & Stop. 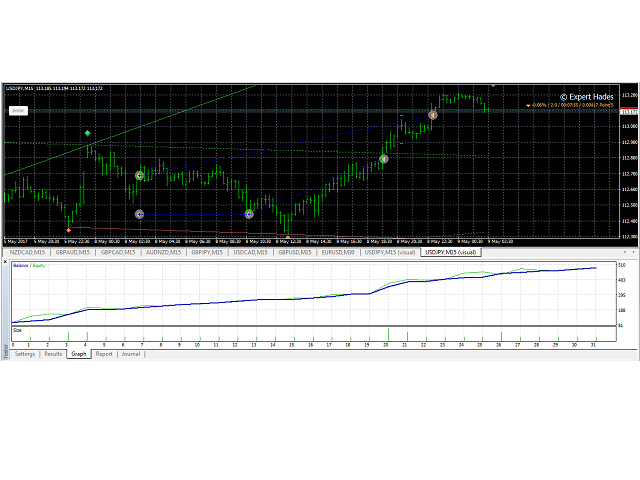 Use 15 Minutes time frame chart for best result. Use Multiplier x Min Lot = 3 or lower with minimum of USD100 deposit. Use Low spread account such as ICMarket. Minor Low must be lower than Major Low Period. Example is 18 Minor Period, 72 Major Period. For Manual entry, EA must be turn ON. MAGIC=6666(default): The Magic identifier of the trade that use in the Expert. MODE=2(default): Multingle (1) or Hedging (2). TP=350(default): Take Profit in Points. TPLIMIT=1500(default): Take Profit Limit in Points that uses by Trailing Stop function. STOPLOST=250(default): Stop Lost in Points. TRAILINGSTOPPOINT=150(default): Trailing Stop trigger in Points. 1. Revised multingle recovery concept to optimize Risk. No greedy entries. Entries will be closed automatically once negative floating is recovered. 2. Revise signal for entry by strict Timeline implementation as per Market Timing Intelligence Concept. No entry when the timeline has passed. 3. Default parameter was updated to optimize risk & Trailing Stop/TP. 4. 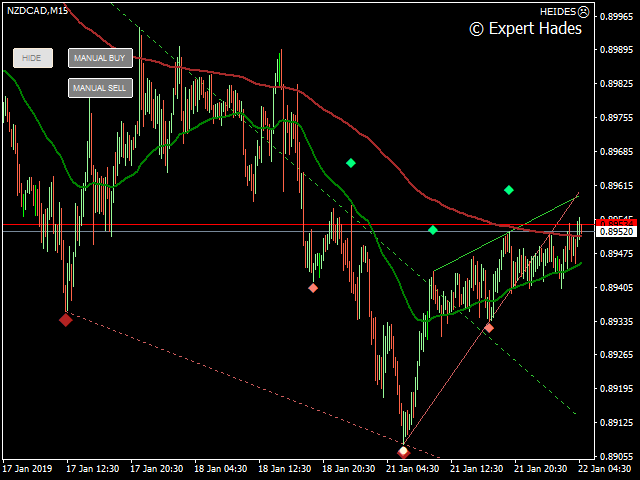 Complex Market Structure pair like GBPJPY & XAUUSD (Gold) now can use Multingle instead of Hedging. Update Logic to strict Process for BUY/SELL and minimize false signals.